In addition to possible competition from Lucid, an electric vehicle startup that will receive more than $1 billion from Saudi Arabia's sovereign wealth fund (PIF), Tesla is still trying to repair damage from CEO Elon Musk's self-inflicted wounds. Driving the news: Just hours after the PIF announced its investment into Lucid, there was news that a British cave diver who played a role in rescuing the Thai boys soccer team is suing Musk over his baseless accusations of pedophilia. Threat level: The lawsuit underscores how Musk's erratic behavior is a distraction at a critical time. And this is compounded by the continued fallout from the going-private fiasco, which has brought an SEC inquiry over Musk's claim that he had "funding secured." Over in Bloomberg's opinion section, Liam Denning writes, "Lucid’s funding is a reminder that Tesla has a target on its back." 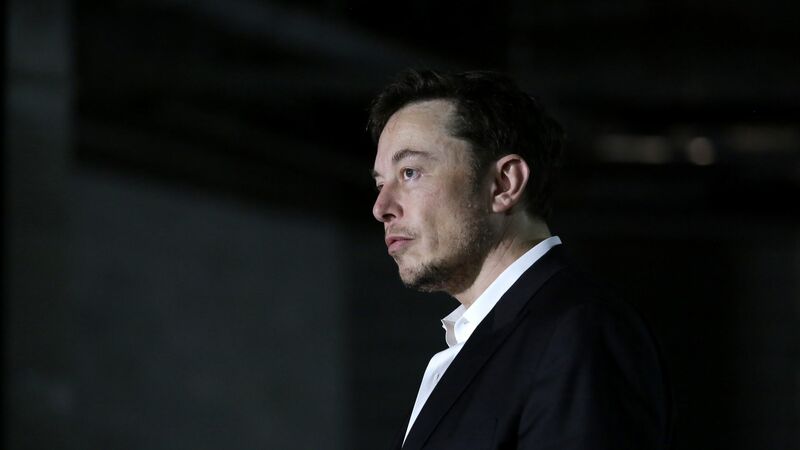 He notes that despite Tesla's powerful U.S. position, "operational snafus mean it isn’t capitalizing on the current window of opportunity the way it was supposed to." Yes, but: Per MarketWatch: "Tesla Inc. faces no competition at present, and when it does it will be able to hold its own, analysts at Bernstein said in a note Monday. ... What should keep Tesla investors worried? Execution rather than competition, the Bernstein analysts said." Go deeper: Potential Tesla rival Lucid Motors makes its move.